The other day, I retrieved my crystal ball from the Pink family self-storage unit. Here’s what I glimpsed through the haze about the coming year. 1. American Politics. In the 2012 presidential race, one candidate will win the popular vote but the other the Electoral College. 3. Economics, II. In the 1970’s and 1980’s, America had U-shaped recoveries. In the 1990’s, we had a “Goldilocks recovery” (not too hot, not too cold). What’s happening now will be known as the “tortoise recovery” — heading in the right direction, but moving very, very slowly. 4. Business, I. A year from today, two out of these three entities will no longer exist: Groupon, Kodak, Newsweek. 5. Business, II. The hot new investment area for venture capitalists will be synthetic biology. 6. Technology. The year’s must-have technology product won’t be the iPad 3 or iPhone 5, but the Lytro camera. 7. International affairs, I. The next big popular uprising — 2012’s version of Arab Spring — will take place in China. 8. International affairs, II. The Cameron-Clegg coalition government in the UK will not survive through November. 10. Sports. The Washington Nationals will make the 2012 National League playoffs. You heard it here first. Got a prediction of your own? Add it in the comments and I’ll Tweet out the most interesting ones over the next few days. Nov 2012 – Mandalay Baseball Properties will become the title sponsor for the first-ever Extra Innings Foundation Charity Golf Classic, Phoenix AZ. Obama by the end of his adminstration will show thru the CAFR (CAFR1.com) that the U.S. is not really headed to financial cliff. Trillions in assets are hidden. Hope Kodak is the one that survives although I don’t see how. I still buy film from them. myON, an online personalized literacy environment, will become the largest online library with enhanced digital books with reading supports focused on increasing student literacy rates. The “Talent Supply Chain” will emerge as the driving force behind organizational productivity and strategic planning…. Philanthropy: Random Acts of Kindness will increase as we continue to seek meaning in a world overcome by conspicuous consumption – even during an economic downturn — many go hungry while others line up to buy, buy, buy. @Daniel — very interesting predictions. I find #7 especially interesting — echoes one of George Friedman’s predictions in “The Next 100 Years”. I read an article on Bloomberg.com about their national debt structure — makes what is going on here, Europe and Japan pale by comparison. Have a great new year; keep up the great and inspiring work. Leaders will forsake hierarchy and management will be based in voluntary engagements & intrinsic motivation. Awesome predictions! Lets hope that they be a reality. Maryann…how about re-phrasing it to “intentional” rather than “random” acts of kindness? What’s heartening is to see people put others first on purpose. Dan, for prognostications: one Eurozone country will take a step toward re-establishing its own currency. Education: Unfortunately … Education reform will have made no progress in spite of the research outlining what works – because of a lack of community engagement. Education / Publishing: Books such as “Drive” ans “The 3rd Alternative” will continue to be largely ignored by the greater education community. 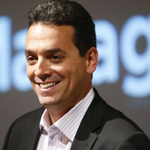 The 2012 business book of the year will be written by Daniel H. Pink! While I wish you were right about 8., I cannot see it happening. The Lib Dems have already sacrificed all their principles in the last 18 months – why bother to bring the coalition into question now? As for 6. – if the Lytro camera is half as good as the description on their website you may well be right. I would love to get hold of one of these. On US politics – how about a prediction that the turnout in the Presidential election will hit a record low? Obama first-timers from 08 turned off, and Republicans turned off by Romney? My prediction is that at least half of these predictions will not come true. The Lytro camera looks amazing. I want one, but to become the next big thing (over Mac, none the less) there has to more than great product. The page linked gives great info, but if indicative of their marketing ethos probably not revolutionary. I hope their poised and ready, because it looks great! Way to be out in front, DP! @Jon — You might be right about turnout. Great point. @Mike — You’re kind. But regardless of whether you’re accurate or not, look for a new book to be published in Jan. 2013. @Bruce — The currency prediction is a really interesting one. @Edward — That means half *will* come true! Thanks for the vote of confidence! Thanks for the heads up about the Lytro camera. Unfortunately I think you right about our recovery. My predictions are a little negative, but that doesn’t mean there still aren’t a host of new green sprouts coming along, as I call them. 1. Skiing on the East Coast will be on its last legs (tragedy). We’ll have to fly to the mall in Dubai, or create our own indoor arena. 2. Pakistan will conveniently lose control of one of its nuclear weapons. Blackberry will also probably go bankrupt. Politics- the election will have the lowest turnout ever as people realize no political party is going to turn around the economy. Economics- Euro will issue a new currency. Economics 2- the economy will not recover and will stay flat, resulting in people learning how to make and create their own :clothes, food, housing,education etc. Business- Those serving disaster preparedness , return to nature or home cooking equipment will do the best. Business 2- One or more of these banks will not survive the year: Chase, Wells Fargo, Citibank, Bank of America. @Lynn, will that website be free to use? Education in the US should be free but it won’t in the coming years. K-12 will start another classist drama of students bringing electronic devices to school causing the textbook industry to stumble. MIT will launch the first free higher education program online detrimentally impacting for profit colleges with online programs such as Devry, University of Phoenix, etc. #6 – The lytro will quickly be forgotten. There is no standard file format for supporting what they do, and the examples on their site are just 3 different layered pngs in a flash movie, rather than a complete depth of field stream, which makes me very dubious about their capabilities. We will see this kind of technology grow at some point, but not like this, it’s just a gimmick. #7 – I doubt it. The chinese just wouldn’t dare try and fix what most of them don’t believe to be broken; Plus they don’t have western interests trying to catalyse these situations for selfish economic reasons. 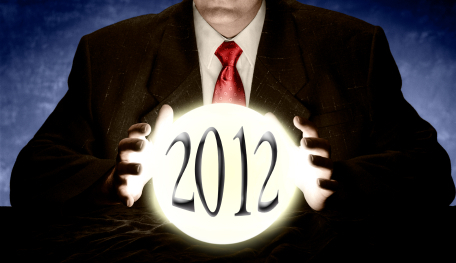 My prediction for 2012 – Technology will start to save the dire situation that the education system is in, both in the US and UK (and elsewhere? I don’t know…) Something really has to give here, and I think it’s going to be huge. I was really put out when Betfair voided my bet that there would be an election in 2012. I’ll see you at Intrade on that if you’d like to back your forecast with money. China has spent 8k years putting down uprisings. Given the ones to date have CIA connections, you’ll need to ask them for insider information. ref 6; the comments here reflect my position; split – hard one to call. Good one to try and call even if you turn out wrong. I’ll see you at Intrade on that if you’d like to back your forecast with money. China has spent 8k years putting down uprisings. Given the ‘springs’ to date have CIA connections, you’ll need to ask them for insider information. 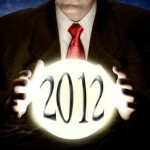 International Affairs III, The World will not end in 2012, despite conspiratorial theories. Dan – To reference AWNM, people will continue to seek beauty, meaning and significance as, despite the recession, we still have far more than we need and want more than we have. That said, i wonder if the nascent Occupy movement might find a bit of a foothold with a growing number of mainstream middle-class Americans who will begin to see that they’re even sold a slightly damaged bill-of-goods by the 1%. They’ll begin to realize that they will never have an opportunity to grab the gold ring unless things change. This shift in the wind will legitimize the OWS idea and move perception of it from a group of unwashed folks looking for a handout (Newt’s description) to one of honest people questioning the status quo. This is the same path we saw in the anti-VietNam protests of the 60s and early 70s. At first, it was a bunch of hippies looking for a cause. But when Walter Cronkite had finally seen enough and used his CBS News broadcast to say so, the tide turned. I think there’s a good chance this will happen in 2012. My hope is that there are enough brave people in Congress to step forward and support the grass roots. Dan – Did you do a 2011 list last December? 2012: White space will be sponsored. A company will market ‘silence’. Remember before we bought bottled water? 2013: Rmmbr win thr wr vwls? Technology: The two social giants, Facebook and Twitter, will both go public. #4–two thirds correct; Groupon will persist. It takes a while to wind things down or complete an acquisition. Won’t happen by end of the year. Prediction: sports, business, technology, politics – patriotic cyber espionage experts from the Pentagon use their modified IPhone 5’s to hack the Washington Nationals scoreboard, so that the team actually has a shot at winning a pennant. Dan’s work gains more prominence amongst larger corporate HR departments! The economics of global, open, mass collaboration (i.e., wikinomics, crowdsourcing)takes hold in the aviation industry (e.g., Lufthansa Cargo Innovation Challenge https://innovation.lufthansa-cargo.com/start.php ). “Metal Neutral” airline alliances expand and focus on non-anti-trust capabilities (engineering, maintenance, technology, airport ops, ground ops, …). Airline consolidation in Europe finally occurs with LOT, SAS, CSA, Malev, TAP, Tarom, … merging, combining operations or bankrupting. Interesting list. Let’s hope the Mayans are wrong and we can discuss it next winter! Re: Sports prediction — yes, the Nats may make it. Maybe they’ll even play Canada’s other team for the World Series . Gas prices will reach $4/gallon around October, just in time for the election in November, to make people vote for Republicans. Lytro camera is a cool concept and even with an expensive camera I often don’t get the focus I wanted. I’d love to have a China conversation with you sometime (I’ll buy coffee). I just don’t see an uprising happening soon, or even something that we ‘really’ want to happen in an Arab Spring fashion. Put that one in the “be careful what we wish for” category. Hmmm, I read another fun one recently: Obama chooses Hillary for VP running mate and Biden moves over to Secretary of State. Tech: RIM fades, Microsoft begins to regain its lost luster. Groupon et. al. will implode as attitudes shift towards buying less, but being willing to pay for value. Re: Lytros – Market there has to be surveillance and millitary – finally we can go back to the video and say “zoom in…now enhance.” Consumer? Hard to imagine most people getting excited about post-processing images again. Intl Affairs – the next major uprising will have it’s genesis in either Dhiravi (Mumbai) or another slum of over 1mm+ people. Later, evidence will show financial support from both local middle class and international aid organizations. Politics – in one year, at least one House of Representative seat will be unfilled due to court cases involving redistricting. Technology/Economy – Entrants like Republic Wireless will bring all-you-can-eat cell phone bills to less than $50 as a norm, and one of the major carriers’ wireless divisions will file for bankruptcy. Equity/Funnies – the top grossing comedy film of 2012 will have a female lead. Facebook, iTunes and Groupon will have 2+ declining quarters of growth, while Twitter, Spotify and Google+ will have double digit % growth. a state will be forced to pass a law outlawing “gaming while driving”. The Bloomberg regime will crumble under the weight of Occupy Wall Street. ECB / Germany will ‘pony up’ and write one of the biggest cheques in history..
Education: While the trend has been dire in recent years (and really looks scary out in CA where we are underwater economically), I still hold out hope in 2012 for steps towards improvements in education. There are new national standards being discussed, tweaked, and adopted in states across the country that embrace literacy skills and THINKING skills instead of the myriad of minute facts that kids have no connection to. As an educator I am energized by the direction I see us heading. The two big concerns: 1) that people without a clue about what happens in a classroom make decisions that don’t help kids – consult the “professionals,” teachers; and 2) that while the new standards put a HUGE emphasis on technology (a good thing), where will the money come from (especially in CA) and as Susan H. Edwards voiced, how do we avoid the classicist issues between the techy haves and the techy have-nots. Regarding social movement, I hope that Jim Seybert is right about the Occupy movement involving more of the 99% and gaining “a foothold” in the mainstream. I hope that a direction will grow from the grass roots, and it won’t wither from disagreements or thugs that give the voice of the people a negative connotation. I think that many people don’t necessarily want a “gold ring,” I think they just want a break – like being able to pay for groceries, a mortgage, and their kids’ skyrocketing college education. Or hey, even a job and a little peace of mind. Bruce: I love it! I’m a big fan of intention…will change my languate on this one for certain. Intentional acts of kindness…so, so, so much better! Thanks and Happy New Year! This is not a prediction for 2012..But it is a prediction nevertheless.. Gmail will start charging for email.